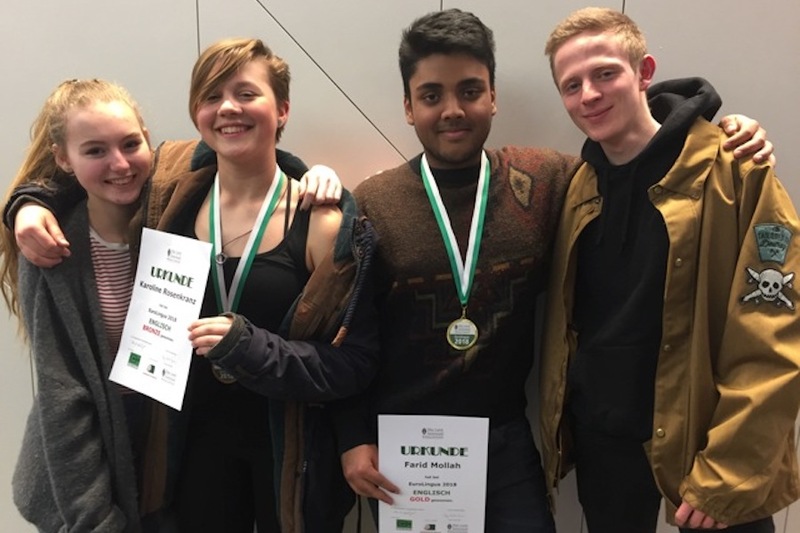 Felix Astner, Farid Mollah, Karoline Rosenkranz and Teresa Waclavic participated in the language competition “Eurolingua“. All four successfully passed round one, and showed top-notch skills in listening and reading. In round two Farid Mollah and Karoline Rosenkranz demonstrated superb communication aptitude. We heartily congratulate you and thank you for your commitment.